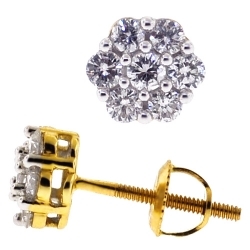 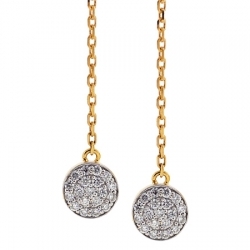 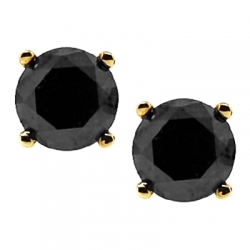 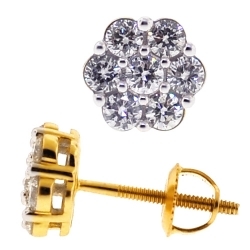 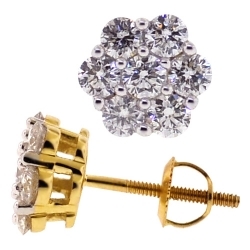 These fabulous diamond drop earrings feature an elegant triple circle design. 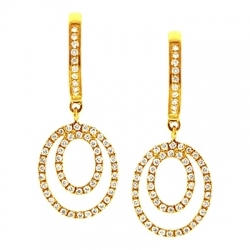 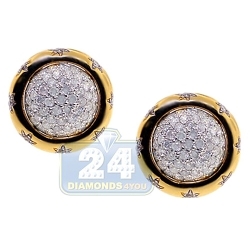 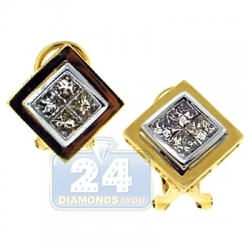 They're masterly produced from warm 14k yellow gold with high-polished shiny finish. 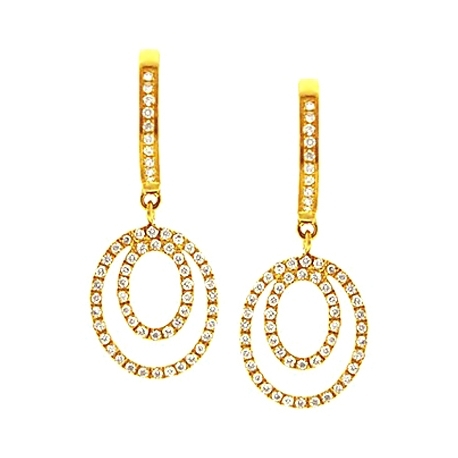 Our women's layered earrings are set with 0.35 carat of icy white round-shaped genuine diamonds. 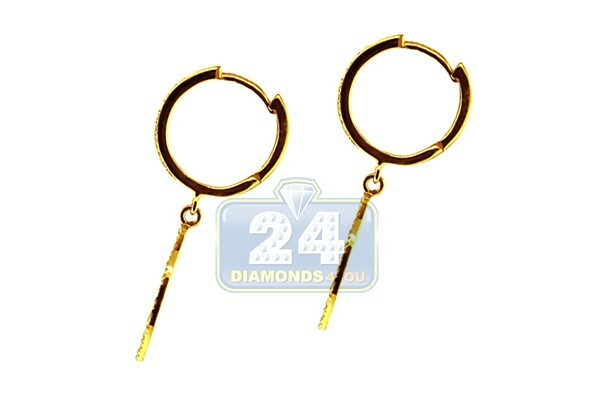 They also have height of 25 mm and width of 10 mm. 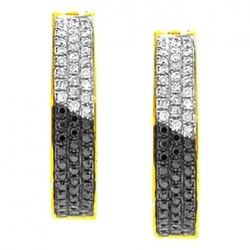 There's no wrong occasion to wear these diamond dangle earrings, and they never go out of style!